Please help support C4's mission of bringing outstanding new choral music into the world. C4 is a 501(c)3 not-for-profit corporation. Enter your contribution amount and click Make Donation. Support C4 on Amazon Smile! Did you know that you can support C4 just by shopping on Amazon.com? Choose C4 as your Amazon Smile charity by clicking the link below, then use Amazon Smile to do your holiday shopping: with every eligible purchase you make, Amazon donates 0.5% of the price to C4. That's like purchasing two gifts for the price of one - and it couldn't be simpler! Every dollar helps C4 to sustain and thrive! 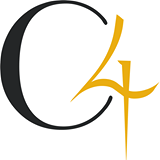 For information on corporate sponsorship or planned giving, please e-mail info@c4ensemble.org. Does your company gave a gift-matching program? E-mail us at info@c4ensemble.org to let us know!